Over the past few weeks, the Talking Comics crew has put together a list of the Best Comics of 2012. We narrowed that list down on the last three podcasts and for the first show in 2013, we announced which of those comics wound up victorious in both our minds and the minds of you, the fans. If you haven’t had a chance to listen to the show where we announce who won what, I highly (and with much bias) recommend that you check that out first by clicking here. Basically in 2013, this comic book dream couple (who should just change their last name’s to Mr & Mrs Talented) will be taking over the world. True story. Amazing comics are already coming out early in 2013 so we’ll start putting together our lists early and see you at our Talking Comics Award Show next year! 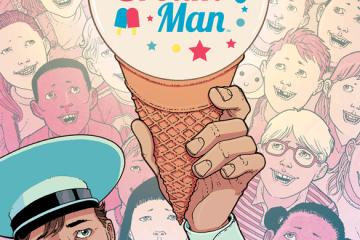 Issue #322: Ice Cream, Anyone?